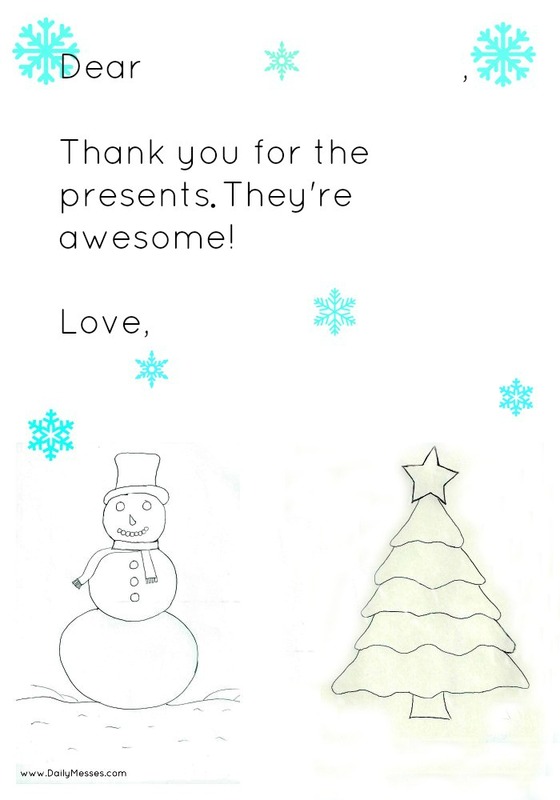 We always have the boys send Thank You notes for any gifts they receive. 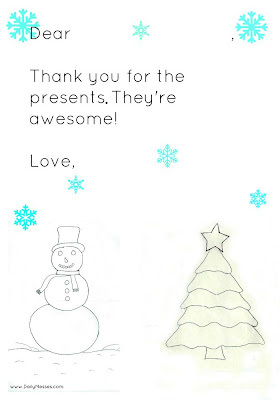 Bernardo is just learning to write and Higgins isn't there yet, but we usually have them color on the note and sign their name. 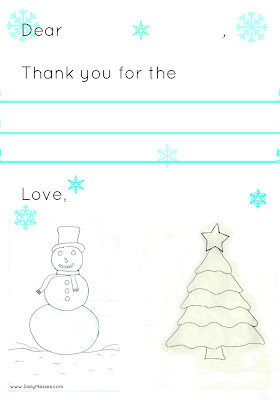 We feel it is important to teach the kids the importance of sending thank you notes early on. 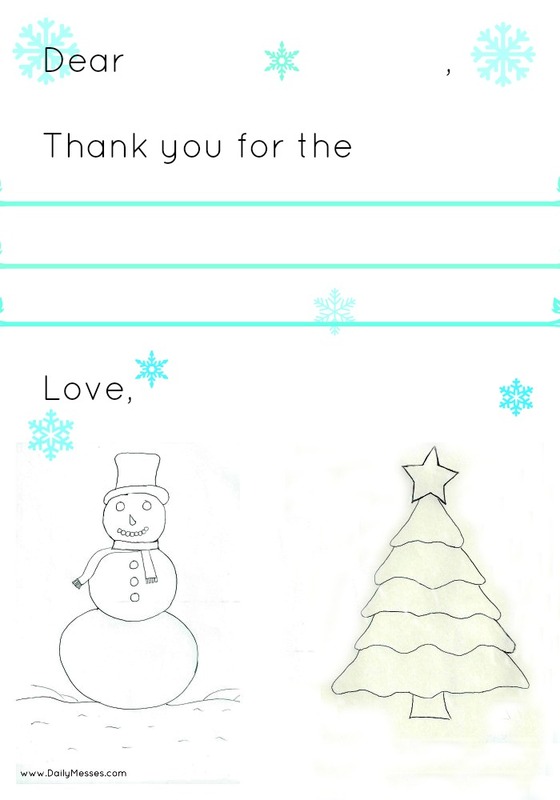 Here are two Christmas thank you note templates that you can print and have your kids color or sign.